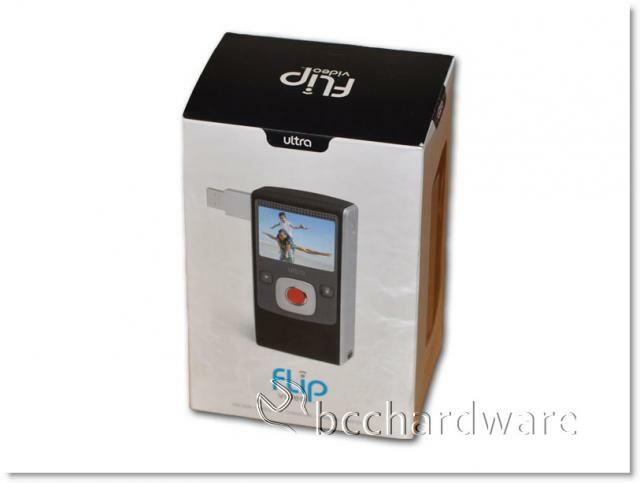 Today we have a look at a video camera that is making waves around the 'net and we'll find out if the Flip Ultra video camera is really all that Ultra. This little unit has an MSRP of a mere $149.99 - making it perhaps one of the most affordable video cameras on the market today. It is small, light and operates on a couple of standard "AA" batteries. It is a far cry from the video cameras of yesteryear, and you will have to sacrifice some features when going with one of these units. Ultimately, the question is whether or not you need a fancy video camera or if a simple point and shoot video camera will be a better fit. Remember, the best video camera you have is the one you have with you. The Flip Ultra is certainly easy to throw in your camera bag, your pocket or your backpack and is ready to go when you are. Pure Digital recently announced that their entire product line is now available in Canada, so if you aren't satisfied with this 640x480 version of the Flip Ultra, you can always snag the Flip UltraHD. It will set you back another $50, but allows you to capture 720p video. I knew the Flip Ultra was small, but I expected it to come in a bigger box. The box itself is not much bigger than a brick and the hardware inside is even smaller than I thought. 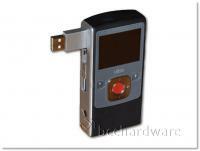 The Flip Ultra measures in at 10.7cm x 5.6cm x 2.9cm and weighs 170gm. Although it's small, the Flip Mino is even smaller and lighter. 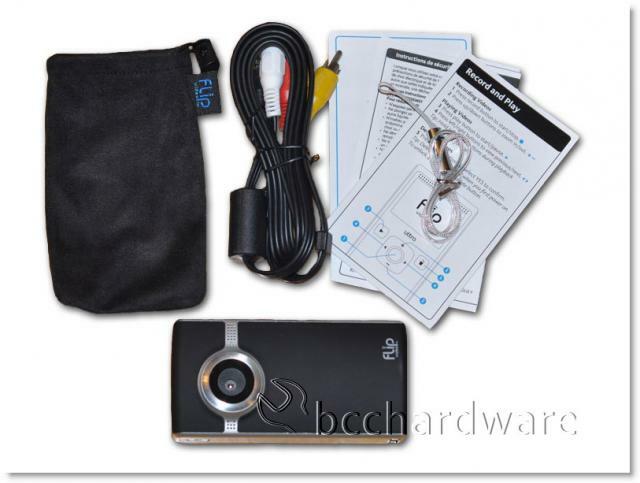 As you can see above, the Flip Ultra comes with a audio/video cable, some documentation, a wrist strap and even a nice bag to put the camera in to protect it from scratches. There is no software CD included as the software resides on the camera and auto plays when you plug it into your Windows XP, Vista or Win7 system. It will also work on OSX for you Apple lovers out there. Before we jump into the specs and details of this little unit, we'll take a quick tour before we get going. The layout of the Flip Ultra is simple and effective. On the one side of the camera is a power button and a hole for the wrist strap. On the other side is the flip-out USB connector and an audio/video output jack. The bottom of the camera has a place for a 1/4" tripod and the back consists of the screen, a play button, delete button, left, right, plus and minus controls on a "D-Pad" and a large red record button. Without any help from a manual, virtually everyone can figure out this camera is less than a minute. The simplicity is wonderful. On the next page, we'll take a look at the camera specs and the software before we jump into testing.